(file photo) Chairman of Culturama 2011 Mr. Halstead “Sooty” Byron. NIA-CHARLESTOWN, NEVIS (May 17TH, 2011) — Plans are well underway for the 37th hosting of Nevis’ summer festival; Culturama. This view, shared by Culturama 2011 Chairman, Mr. Halstead “Sooty” Byron, and Manager of the Festival’s Secretariat, Mr. Antonio “Abonaty” Liburd, was expressed during a recent televised interview with the Nevis Island Administration’s Department of Information. Official activities for Culturama 2011 are expected to commence on July 21 with a grand launch and the Junior Kaiso Contest and culminate on Aug. 2 with the Cultural Street Parade and Last Lap Jam. With heavy emphasis on “mas, music and fun,” the 2011 Culturama committee has made three major changes to the festival’s line-up. “The Mr. Kool Competition is back,” said Chairman Byron who indicated that a large number of patrons had “for quite some time” been requesting that the once well-attended competition be placed back on the schedule of activities. “What we do from year to year, we listen to the comments, criticisms, suggestions of our patrons, visitors and locals alike and we try to see where we can improve on the festival, where we can make changes, be innovative and creative, where we can bring new shows or repeat old shows and events. “Since 2008 when we took a decision to suspend the Mr. Kool Competition, we have had quite a large number of patrons, especially young ladies, on our backs saying they want the Mr. Kool show,” he explained. The competition would, this year, be twinned with the Ms. Culture Swimwear Contest at the Nevis Cultural Complex on July 24. Five days later, on a Friday evening as opposed to the usual Saturday evening, the island’s top calypsonians would compete in the annual Senior Kaiso Finals. The change, which Mr. Bryon said, may be considered controversial, was needed to maximise the support of the calypsonians. “What we have found is that at 7:00 [pm] when you are ready to shut off the [Cultural] Food Fair, there are hundreds of people on the grounds still wanting to continue the action to the extent where we, most times, get off to a late start of the [Senior] Calypso Show and the fact is that a number of those same persons who would have been at the Food Fair cannot come back to the Calypso Show,” he explained. In light of the change, the Department of Agriculture’s Fruit Festival would precede the Senior Kaiso Finals on July 29 and the Cultural Food Fair would commence at 7:00 am on July 30 and end at 12 midnight. The all-day event would feature local entertainment and lead into “a true celebration of Emancipation” with the staging of an Emancipation Concert that evening. 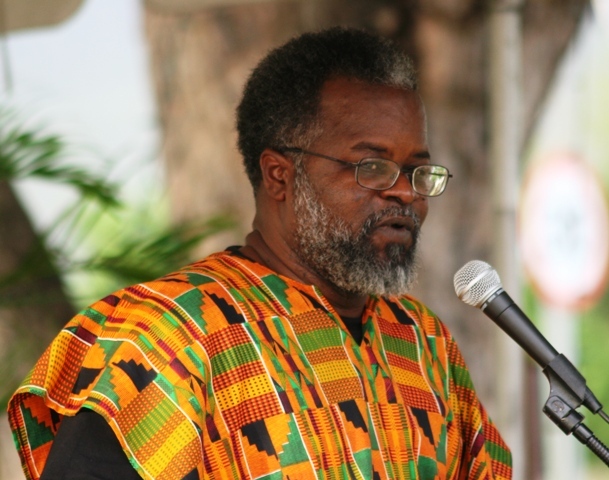 “We want to use this particular night of the Food Fair from 8:00 or so to showcase our people [and] our culture; in the true sense of African Liberation [to] celebrate Emancipation because as you know, Emancipation Day is really the 1st of August and so that night would be dedicated to that,” Mr. Byron said. “We are also looking at featuring at least one major act from outside,” he stated. Other activities that form part of the line-up are the Senior Kaiso Semi Finals; King of de Jungle Sound and Band Clash; Ms. Caribbean Culture and Ms. Culture Queen Pageants; Mr. and Ms. Talented Youth Pageant; Rhythmz Dance Theatre Production; Culturama Drag Racing; Emancipation J’ouvert Jump Up; Culturama Horse Races; J’ouvert Kool Down; St. George and St. John Caribbean and International Food Fair and the Culturama 2011 Prize Giving Ceremony.